At the TCAs this week HBO Programming Presidents Michael Lombardo and Richard Plepler sat and talked with journalists about all things HBO, most notably their intention to finish Game of Thrones just as author George RR Martin intends it to. 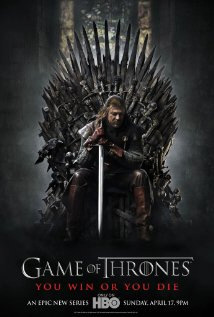 HBO fans have been burned before by the company’s early cancellation of Deadwood and Rome, and while Game of Thrones has been a massive hit both critically and financially, the fact that Martin hasn’t finished the book series the show is based on has given some viewers reason to worry. HBO has mentioned in the past their intention to keep each season to just 12 episodes, and that one season won’t necessarily equal one book. Show runners David Benioff and D.B. Weiss are signed on for two more seasons, so it’s up in the air whether or not they’ll see the series through to the end. Regardless, this is good news for fans of the books and the TV series, knowing the story will definitely be told in full. Comments for HBO Will Stay With “Game of Thrones” Till The End are now closed.